The Future is Here! Moores Law has changed everything! We are changing Golf. 50th Anniversary Story on Moores Law in last weeks WSJ. We are looking forward to disrupting everything in Golf, making it better for both amateurs and Golf Professionals! Jimmy we said, embracing change and embracing the future! Empowering technology to change lives and drive member engagement and revenue at participating clubs! We live in a period of staggering technological change. While society is being transformed by disruptive innovation during this transition, it will be your own individual adaptability that will determine if you are a winner or a loser, whether you are a golf professional a GM or a member. Every 24 hours, there are approximately 4 million smartphones sold, 8 billion hits on YouTube, 700 million tweets, 130 million Instagram uploads, and over 200 million sent emails. There are now more iPhones sold every day than babies born, and the world has more than 3 billion internet users accessing 1.2 billion websites. Facebook alone has more than 1.3 billion users, which translates to a ratio of 1 in every 7 people of the word. In fact, if Facebook were its own country, by population, it would be the second largest, Alibaba just one online business had more than $9.3 Billion in sales on one day last year! Alibaba’s singles day sales last year in fact were greater than the total annual sales of 480 of the Fortune 500 companies in 1980. It is not the innovation itself that matters, but its implications during this transition. For the individual, the key will be how to take advantage of these changes, while protecting one’s family, business, career, investments and way of life. types of knowledge have different rates of growth. For example, nanotechnology knowledge is doubling every two years and clinical knowledge every 18 months. But on average human knowledge is doubling every 13 months. According to IBM, the build out of the “internet of things” will lead to the doubling of knowledge every 12 hours. Disruptive innovation, driven by new technology, has always been integral to human progress. It has moved humanity forward by creating new opportunities, building great wealth, and opening unexplored frontiers, from the vastness of space to the world of particle physics. The Gutenberg printing press (invented 1440) enabled the rapid spread of knowledge as books became cheaper and more plentiful, ultimately contributing to the dawn of the Age of Enlightenment. Within several decades, the printing press spread to over two hundred cities in a dozen European countries. By 1500, printing presses in operation throughout Western Europe had produced more than twenty million volumes.The compass gave us the Age of Discovery, not only opening new lands and resources, but enabling the spread of industry and the development of nations. Paper currency is an innovation, though recently significantly overdone, which spawned electronic banking and global commerce. The discovery of electricity gave us new forms of heat, light and communications. These innovations vastly improved the quality of life and economic prospects for society. For instance, according to the U.S. Census Bureau, the standard of living, measured by GDP per capita, increased 21.7 times from 1820 to 1998. Average life expectancy at birth doubled during the last 150 years, from 38 years in 1850 to 76 years by the late 1990s. Our lives are dramatically better now, largely driven by technological change and innovation. However, while society is better off on average, innovation has also produced both winners and losers, opportunity and risk, migration and displacement. For instance, according to the U.S. Department of Commerce’s Bureau of Economic Analysis, over the last 150 years there has been a dramatic migration from the farm to the factory, and then from the factory to the office. In 1840, about 70 per cent of U.S. jobs were on the farm, dropping to 10 per cent in the 1950s, and today sitting at less than 4 per cent. In the 1950s, about 40 per cent of U.S. jobs were in manufacturing – today this number has been cut in half. Where have all the jobs gone? Into the service sector, where almost 80 per cent of the jobs in the U.S. are today. For many decades, technology significantly advanced the quality of life in our economy, moving us from a hard, short life of farming, to recently a longer life of work in the service sector, a now many are estimating that many being born today will live to 150 as we learn to cope with the information and knowledge economy of today. However, we believe the world is changing dramatically and rapidly, and innovation is driving us to a new inflection point. Can you imagine what the Apple Car will look like in 3 years? The Tesla in 5 years? Or the Google Car in 2 years? Will GM exist? Will doctor visits be reduced by 85% by technology? Will patients be on hold on their iPads or Phones to consult with 3 or 4 leading diagnosticians via some version of FaceTime while technologists run a diagnostic scan via smart watch? Will poverty be all but eliminated as Africa and the rest of the developing world embrace smart phone technology more than 100 times faster than we have developed from the PC era of the early 90’s? Moore’s Law has been disrupting everything for 50 years but disruption will start to become truly significant; "Moore's law" is the observation that, over the history of computing hardware, the number of transistors in a dense integrated circuit has doubled approximately every two years. The observation is named after Gordon E. Moore, co-founder of the Intel Corporation and Fairchild Semiconductor. In 2013, a study authored by Erik Brynjolfsson and Andrew McFee at the MIT Sloan School of Management argued that advances in technology are largely behind the sluggish job growth and flattening median incomes over the last 10 to 15 years. They believe that the recent rapid advances in technology are destroying jobs more quickly than they are being created, contributing to the recent stagnation in income and the growth of inequality in the U.S. For evidence, they studied productivity and total employment in the U.S. from the end of WWII, and demonstrated how they closely correlated with one another; the increase in jobs corresponded to the increase in productivity, and thus, the entire economy grew. However, around the year 2000, this correlation diverged, with productivity continuing to rise but employment levels stagnating. They call the gap between increasing productivity and employment ‘the Great Decoupling,’ and the authors believe technology is behind it. What does this mean? While society as an aggregate is better off, individual workers are being displaced. For the first time in human history, innovation is taking away net jobs and technology is competing with humans for work. The Computer and software replaced much of middle management over the past 3 decades and as we witness software continuing to evolve and being paired with smart phones and app’s replacing many of the service workers of the past two decades, who needs a bad stock broker to take 3% to 5% of your life savings every year just to erode your capital or help you invest in mediocre funds which inevitably under-perform the market? computer, mobile phone, internet, tablet and smartphone) the smartphone is on track to have the fastest adoption rate from market launch to full market saturation (defined as 75 per cent of consumers). It took the standard home landline telephone 80 years to reach market saturation, and the mobile phone 20 years. Now, the smartphone is on track to achieve this in less than 10 years. The nature of technology is changing as well. Prior to the advent of the Digital Age, much of our technological advancement focused on replacing arduous physical work. Machinery made it easier for the farmer, the miner or construction worker to be more productive and safe. Today, we are in the middle of an information revolution. Initially, digital technology, such as the desktop computer, automated human mental tasks. Then, the Internet massively increased our access to information, and mobility unchained us from our desk. Today, advances in the automation of knowledge and software development have enabled machines to replace human mental tasks. For the first time in history, our need to think has been replaced. For instance, today robots are self-taught, and software can write its own code, music or articles. A significant driver of innovation is the growing demographic change with the rise of the millennials (adults between the age of 18 and 30), who view the world differently and are shaping the technological landscape. The millennial population is growing rapidly; sitting at just 25 per cent of the US workforce today, it is expected to grow to 50 per cent of the US workforce by 2020, and 75 per cent of the global workforce by 2030. Millennials are changing much about the way we see the world and handle information, driving a social and collaborative economy, and rewarding innovative companies like Uber and Zip Car. The final compounding factor is the collapse of the middle class. A study by the Pew Research Centre conducted in 2012 showed that income levels of the middle class are being hollowed out. The study used Census Bureau data to classify adults into lower, middle or upper income tiers depending on the income of their household relative to the overall median income. It found that the share of adults in the middle income tiers has fallen in each of the last five decades, from 61 per cent in 1971 to 51 per cent in 2011. Our world is changing more than ever before and the rate of change is non-linear. The nature of the change is different, as net jobs are being lost to machines, just at a time when people need these jobs the most. Finally, the rise of the millennials and the collapse of the middle class are compounding this transition dramatically. While I am confident that society will be much better as a result of technology, the social and economic implications of the transition are staggering for the unaware or unprepared. Indeed, with change comes risk and opportunity. The risk is in maintaining the status quo and the opportunity is for those preparing for, creating, or investing in the future. I believe the best way to both survive and then thrive in this coming transition is simple; embrace it as an Age of Adaptability. There is nothing an individual can do to stop these massive global trends in technology, economics, and demographics, other than adapt. Even reacting to the trends is insufficient, since their scale and velocity are will leave you scrambling to catch up, not mind getting ahead. The only solution is to adapt by becoming a lifelong learner, failing fast if necessary, and learning to get ahead of the changes. This ability to adapt starts with a mindset that the status quo is not a safe haven, but the place of greatest risk. It means accepting complete responsibility for your destiny, rather than subordinating your well-being to other groups or people. It requires you to take 100 per cent control of your circumstances, particularly if you are responsible for a family, or other people in the form of a business. It entails moving to a state of absolute clarity and awareness of the coming onslaught of change, and then taking a personal leadership role in making incremental, but permanent, changes to your life now. Technology is reshaping and permanently changing our world for the better. In our lifetime, we will see unimaginable progress that will usher in a golden age of a socially-connected global economy, creating new opportunities on a vast scale. Humankind will successfully emerge from this transition, as we always have, and the winners will not be the strongest or even the smartest, but those individuals most willing and able to adapt. 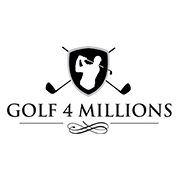 Mark Slipp is a partner of MCC Partners + Business Advisors, a business and technology consulting firm focused on helping leaders and organizations permanently solve complex problem and accelerate growth, and President of Golf 4 Millions Events, Inc.
Join Golf 4 Millions today and learn how we can help you grow! Are you learning online? Are you teaching Golf online? You can learn from professors at MIT , YALE or Stanford any time day or night. You can take over 2000 subjects from Sal Khan at www.khanacademy.org . Coursera will help you with hundreds of courses and navigate others, you can learn a new language: for example code www.codeacademy.com You can be inspired and learn from the greats at www.ted.com You can learn a language from www.duolingo.com or any one of many other sites! Let us show you how to publish and post Golf instruction tips online and generate new customers at your course. notes and perspective: The history of the personal computer as mass-market consumer electronic devices effectively began in 1977 with the introduction of microcomputers, although some mainframe and minicomputers had been applied as single-user systems much earlier. A personal computer is one intended for interactive individual use, as opposed to a mainframe computer where the end user's requests are filtered through operating staff, or a time sharing system in which one large processor is shared by many individuals. After the development of the microprocessor, individual personal computers were low enough in cost that they eventually became affordable consumer goods. Early personal computers – generally called microcomputers– were sold often in electronic kit form and in limited numbers, and were of interest mostly to hobbyists and technicians. After the 1972 introduction of the Intel 4004, microprocessor costs declined rapidly. In 1974 the American electronics magazine Radio-Electronics described the Mark-8 computer kit, based on the Intel 8008 processor. In January of the following year, Popular Electronics magazine published an article describing a kit based on the Intel 8080, a somewhat more powerful and easier to use processor. The Altair 8800 sold remarkably well even though initial memory size was limited to a few hundred bytes and there was no software available. However, the Altair kit was much less costly than an Intel development system of the time and so was purchased by companies interested in developing microprocessor control for their own products. Expansion memory boards and peripherals were soon listed by the original manufacturer, and later by plug compatible manufacturers. The very first Microsoft product was a 4 kilobyte paper tape BASIC interpreter, which allowed users to develop programs in a higher-level language. The alternative was to hand-assemble machine code that could be directly loaded into the microcomputer's memory using a front panel of toggle switches, pushbuttons and LED displays. While the hardware front panel emulated those used by early mainframe and minicomputers, after a very short time I/O through a terminal was the preferred human/machine interface, and front panels became extinct. The IBM PC was the first PC that justified widespread use. IBM responded to the success of the Apple II with the IBM PC, released in August, 1981. Like the Apple II and S-100 systems, it was based on an open, card-based architecture, which allowed third parties to develop for it. It used the Intel 8088 CPU running at 4.77 MHz, containing 29,000 transistors. The first model used an audio cassette for external storage, though there was an expensive floppy disk option. The cassette option was never popular and was removed in the PC XT of 1983.The XT added a 10MB hard drive in place of one of the two floppy disks and increased the number of expansion slots from 5 to 8. While the original PC design could accommodate only up to 64k on the main board, the architecture was able to accommodate up to 640KB of RAM, with the rest on cards. Later revisions of the design increased the limit to 256K on the main board. Fast forward to 1994 and you find excellent top of line computers (486) come with 4MB RAM and 400 to 500 MB of hard drive space and a 14 or 15 inch monitor and outstanding 14.4k modems! As many as 24 million americans are now using PC’s! in 1994 People in large companies used to be at risk of someone stealing their RAM it was so valuable: a 4MB stick of RAM cost $400! In 1994 a decent IBM PC cost $3995, if you were lucky enough to be on the internet with an expensive modem you could download as many as 3 web pages a minute! Average page download times were 19.1 seconds per page. In 1994 you could buy 16GB of memory, but you would have to get it with a CRAY CS 6400 supercomputer and pay $400,000! CRS built SPARC Solaris compliant computer systems. Are you learning online? Are you teaching Golf online? You can learn from professors at MIT , YALE or Stanford any time of day or night. You can take over 2000 subjects from Sal Khan at www.khanacademy.org . Coursera will help you with hundreds of courses and navigate others, you can learn a new language: for example code www.codeacademy.com You can be inspired and learn from the greats at www.ted.com You can learn a language from www.duolingo.com or any one of many other sites.